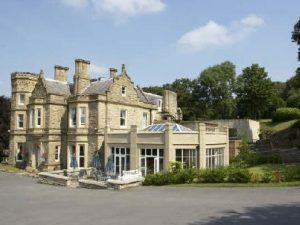 This section of the Happy Valley website presents details of Bollington’s hotels, guest houses and holiday cottages. Each page also contains a Google map. The location will be displayed in the centre of the resulting map. To see a wider area, on a desktop, hold the mouse over the map and roll your mouse wheel backwards; on a tablet or phone, pinch the map. The Google map also allows you to obtain directions to each location from your own location. The Glass House Holiday Cottage.